1. 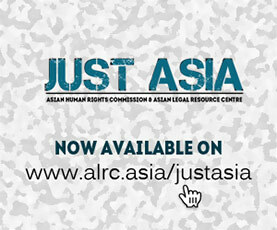 The Asian Legal Resource Centre (ALRC) wishes to draw the attention of the United Nations Human Rights Council (UNHRC) to the manner of judicial appointments in Nepal, which has put judicial independence into question. 2. The apex of Nepal’s three-tier Judiciary, the Supreme Court, has nearly 25,000 pending cases, a backlog that increases daily. The problem is largely related to understaffing. Currently, there are only 10 Supreme Court judges, even though the Constitution has a provision for up to 21 permanent judges. 3. The youngest Constitution of the world, which came into being on September 20 of last year, favors judicial appointment made on the recommendation of the Judicial Council (JC), wherein the Law Minister also has a say. Article 129 has it that the President will appoint the Chief Justice of Nepal on the recommendation of the Judicial Council. 4. The constitution of the JC, in turn, has been provided for under Article 153 of the Constitution. It envisages five members in the Judicial Council. The Chief Justice is the head of the Council, and the second senior most Supreme Court Justice, the Law Minister, a representative from the Bar Association, and nominee of the Prime Minister are members. 5. After months of indecision, in March 2016, the JC finally nominated 11 judges to the Supreme Court: Dipak Kumar Karki, Kedar Chalise, Meera Khadka, Sharada Prasad Ghimire, Hari Krishna Karki, Biswombar Prasad Shrestha, Ishwor Khatiwada, Ananda Mohan Bhattarai, Anil Kumar Sinha, Prakash Raut and Sapana Pradhan Malla. The then Chief Justice Kalyan Shrestha, who heads the Council, nominated seven sitting judges from the Appellate Court, and four senior advocates. 6. These recent appointments indicate a political chemistry at work: those selected pass the litmus test conducted by the ruling political class. One of the nominated judges has already played a role as Parliament Member from the Communist Party of Nepal (Unified Marxist–Leninist) CPN-UML. 7. The Judicial Council has recommended political figures for the first time. Members of the Judicial Council have been very tactical in naming the nominees, answering the call made by those with political clout. The selections show political manipulation, which has brought the “match-fixing” that pervades the working of the Judiciary most overtly. 8. It is not that party members and representatives cannot or should not become justices, but the persons concerned should not issue verdicts in ways that reflect political bias. In the Nepalese context, however, it is always otherwise. 9. In Nepal, all of the Judiciary’s problems have political origins. The Judicial Council, Nepal’s constitutional body, which appoints judges, is itself incomplete and lacks an inclusive character. There is one female member, who happens to be the Chief Justice, and there are no individuals from disadvantaged communities, such as the Dalits, and Madhesis. In such a case, how can victims of caste based discrimination expect justice when justice institutions are itself biased, and are limited to members of certain communities. 10. There were many reports about the controversy of politicized appointments and agreements in Nepal. In February this year, one of the members who was thought to leak information related to Truth and Reconciliation Commission (TRC) was barred from speaking to media, and threatened with her TRC membership. She subsequently gave an interview, and exposed undergoing security threat. It showcases how politicization of institutions / Councils related to justice is something that is pervasive. 11. It must be noted that a judge, appointed under the instructions of the ruling political class, is most unlikely to pronounce judgment against the ruling government. When the Judiciary is flooded with politics, miscarriage of justice becomes a distinct possibility at every turn. It is a well-settled principle that the independence of the judiciary is the basic structure of any democratic Constitution, and that if this feature were to be influenced by politics, independence would be under attack. The political affiliations will continue to undermine the legitimacy of the Judiciary and the rule of law. 12. The Supreme Court, which has a massive backlog of cases, is waiting for some qualified and capable justices who are willing to give justice to the people, not ones who have political or personal ambitions. The Court should deliver judgments free of the influence of politics or personal ties. The appointment of justices in view of the growing backlog of cases is commendable as cases continue to pile up, however if the politicized appointments resulted in jaundiced verdicts, the people of Nepal will lose. 13. The ALRC respectfully requests the Human Rights Council to urge the government of Nepal to appoint competent and adequate judges free from political influence, and interference. The government must increase investments in the Courts, and include modern infrastructures. The Judiciary must remain an independent organ of the state, and be allowed to function freely and independently.